Stress, trauma, and unexpected life developments — such as a cancer diagnosis, a car accident, or a layoff — can throw people off stride emotionally and mentally. Writing about thoughts and feelings that arise from a traumatic or stressful life experience — called expressive writing — may help some people cope with the emotional fallout of such events. But it's not a cure-all, and it won't work for everyone. Expressive writing appears to be more effective for people who are not also struggling with ongoing or severe mental health challenges, such as major depression or post-traumatic stress disorder. Dr. James W. Pennebaker, currently chair of the psychology department at the University of Texas, Austin, has conducted much of the research on the health benefits of expressive writing. In one early study, Dr. Pennebaker asked 46 healthy college students to write about either personally traumatic life events or trivial topics for 15 minutes on four consecutive days. For six months following the experiment, students who wrote about traumatic events visited the campus health center less often, and used a pain reliever less frequently, than those who wrote about inconsequential matters. Most studies have evaluated the impact of expressive writing on people with physical health conditions such as sleep apnea, asthma, migraine headaches, rheumatoid arthritis, HIV, and cancer. Likewise, most of the outcomes measured are physical, and the findings — such as blood pressure and heart rate — suggest that expressive writing initially may upset people but eventually helps them to relax. More recently, researchers have evaluated whether expressive writing helps reduce stress and anxiety. One study found that this technique reduced stigma-related stress in gay men. 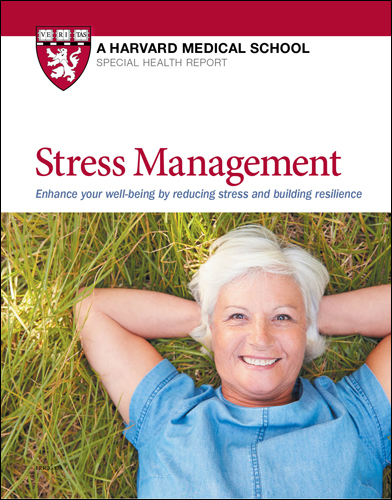 Another found that it benefited chronically stressed caregivers of older adults. And a study by researchers at the University of Chicago found that anxious test-takers who wrote briefly about their thoughts and feelings before taking an important exam earned better grades than those who did not. The standard format involves writing for a specified period each day about a particularly stressful or traumatic experience. Participants usually write nonstop while exploring their innermost thoughts and feelings without inhibition (and the writing samples remain confidential for that reason). They may also use the exercise to understand how the traumatic event may revive memories of other stressful events. When Dr. Pennebaker and other researchers first started studying expressive writing, the prevailing theory was that it might help people overcome emotional inhibition. According to this theory, people who had suppressed a traumatic memory might learn to move beyond the experience once they expressed their emotions about it. But it's not quite that simple. Instead, multiple mechanisms may underlie the benefits of expressive writing. The act of thinking about an experience, as well as expressing emotions, seems to be important. In this way, writing helps people to organize thoughts and give meaning to a traumatic experience. Or the process of writing may enable them to learn to better regulate their emotions. It's also possible that writing about something fosters an intellectual process — the act of constructing a story about a traumatic event — that helps someone break free of the endless mental cycling more typical of brooding or rumination. Finally, when people open up privately about a traumatic event, they are more likely to talk with others about it — suggesting that writing leads indirectly to reaching out for social support that can aid healing. Timing also matters. A few studies have found that people who write about a traumatic event immediately after it occurs may actually feel worse after expressive writing, possibly because they are not yet ready to face it. As such, Dr. Pennebaker advises clinicians and patients to wait at least one or two months after a traumatic event before trying this technique. Even with these caveats, however, expressive writing is such an easy, low-cost technique — much like taking a good brisk walk — that it may be worth trying. How does hot pepper cream work to relieve pain? 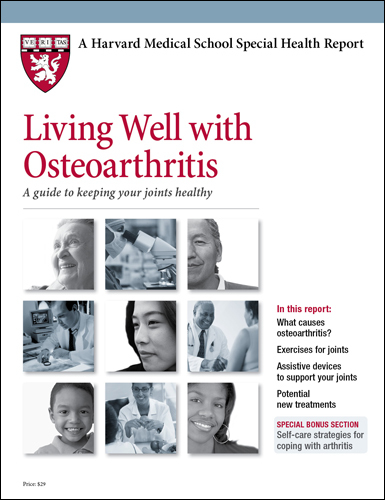 Q. I have pain from osteoarthritis in both knees. I have heard about a cream made from a substance in hot peppers that can help osteoarthritis pain. How does it work? A. You're referring to capsaicin, the substance in chili peppers that gives them their hot taste. Capsaicin is an ingredient in many over-the-counter topical pain-relief preparations, which include creams, gels, lotions, patches, and sticks. When first applied, topical capsaicin causes a burning sensation. This sensation lessens within a few minutes, and also over time with repeated applications. There are few, if any, systemic side effects. We don't know exactly how capsaicin works, but it's thought to stimulate the release of substance P, a chemical that helps transmit pain signals from sensory nerve fibers to the brain. After several applications of capsaicin, local stores of substance P (and possibly other chemical pain messengers) become depleted, and the nerve fibers in that area transmit fewer pain signals. Studies comparing topical capsaicin with a placebo for arthritis pain have yielded inconsistent results. In one randomized trial involving people with either osteoarthritis or rheumatoid arthritis, capsaicin applied to knees four times a day for four weeks was more effective than a placebo in reducing pain. But topical capsaicin showed only a moderate to poor benefit in a pooled analysis of three studies involving patients with arthritis. The authors of that study suggested that capsaicin might be useful when given along with other pain relievers, such as nonsteroidal anti-inflammatory drugs, or as an option for people who can't tolerate other pain-relief treatments. Capsaicin provides only temporary relief, so it must be applied four times a day. Before you use it on a large area, apply some on a small patch of skin to make sure you're not allergic to any of the ingredients. Apply enough to cover the painful area, and rub it into your skin until it disappears. Then wash your hands immediately to avoid accidentally getting it into your eyes, nose, or mouth. Don't apply capsaicin to broken or irritated skin, and don't use a heating pad on the area you're treating. It may be a week or so before you feel the full effect on your knee pain. If you don't notice any improvement after four weeks, stop using capsaicin.